If you’ve looked at the news recently it’s easy to feel like everything’s doom and gloom – but not today my friends, not today. We’ve got three feel-good stories from our customers thanking Onward staff and Connolly Ltd, who are carrying out some kitchen refurbishments on our behalf. Tenant Liaison Officer Jen recently met Eileen, who’s been an Onward customer for 41 years. Eileen told Jen about her fabulous history of living in the area and how she came to make new home. Eileen and her husband had been living in a damp bedsit back in 1977. Withy Court used to be where the local bakers made bread, before the old buildings were demolished to make way for a new apartment block. Eileen used to pass the block every day on her way to work, dreaming of being able to make a home there with her husband. Her dream came true in February 1978 when she was offered a new home with Collingwood Housing Association (now Onward). She says she’s seen the area transformed over the years, and this is her third new kitchen. Jen worked closely with Eileen during the refurbishment as Eileen wanted to pass on some items she didn’t need anymore. Jen supported and helped Eileen to donate them to the local charity shop so they could be used by other people who may need them. 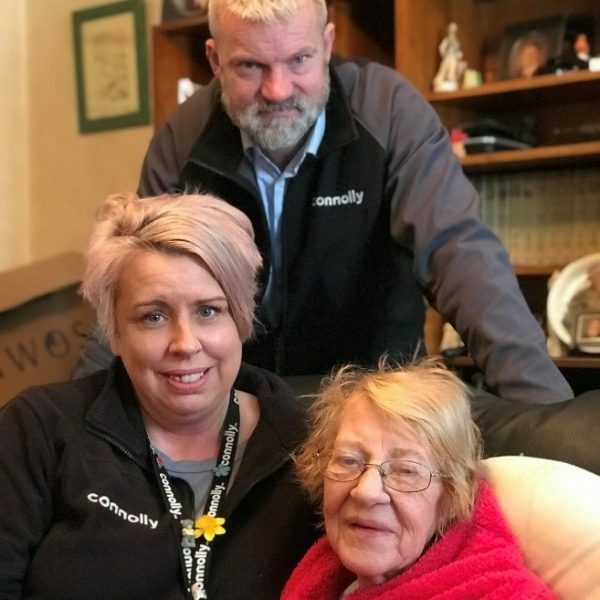 During Connolly’s initial ‘getting to know you’ meet up with Onward customer Freda, a close relationship was created with the site team, who were supporting the installation of a new kitchen to Freda’s home. During the installation of the new kitchen Tenant Liaison Officer Teresa had agreed to call in on Freda whilst her son was at work. When Teresa called round, she found that Freda had fallen and was in need of urgent medical attention. Steve and Teresa quickly assessed the situation and waited with Freda until medical help arrived. 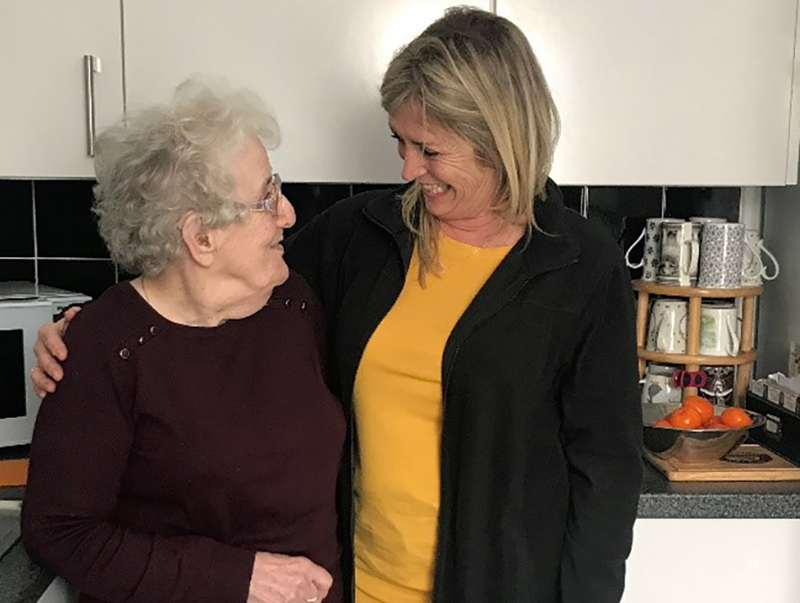 Freda was grateful for the intervention and caring support offered by everyone on site, and is grateful that Teresa agreed to call round whilst her son was at work. 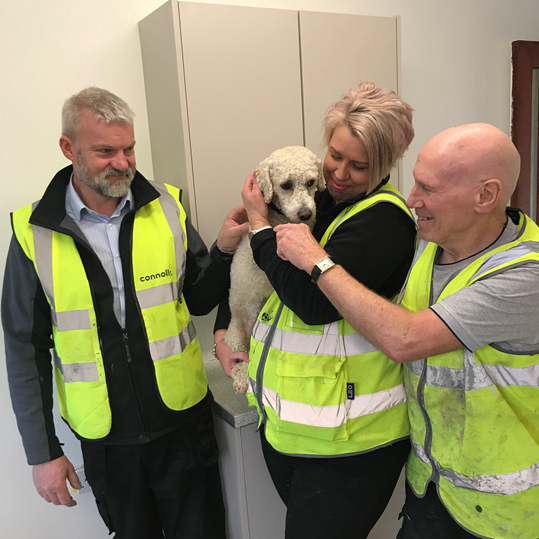 The Connolly team first met Oscar, a little Poochon pup, while doing some refurbishments for Onward in the Handforth area. Oscar’s mum Carrie was worried how the disruption and noise of the work would affect him, as he’s a nervous little guy. The site team, including site manager Steve and Tenant Liaison Officer Teresa quickly put Carrie’s mind at rest. “Oscar knew how to melt our hearts and quickly became part of the team, receiving lots of cuddles on a daily basis by all the trades people,” they said. Carrie says without the help and support from the site team she would have been really worried about Oscar and is truly grateful for the support she has received for her furry companion. Hundreds of Onward customers are set to be benefit from an investment programme in Greater Manchester to install new kitchens. Connolly Ltd is re-designing over 100 new kitchens as part of a 2018/2019 programme, which is due to be completed this year. We’ve received excellent customer satisfaction feedback and customers are very excited about the work.